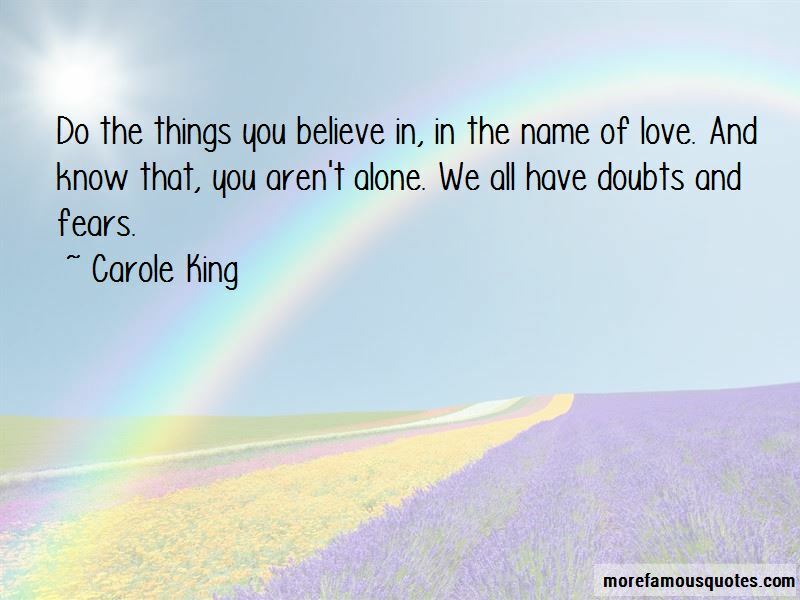 Enjoy the top 47 famous quotes, sayings and quotations by Carole King. There is a downside to having one of the biggest-selling albums ever. I think Madonna has a great deal of intelligence and capability. I have a lot of respect for her. She's taken her career and maximized it with intelligence and creativity. Eric Clapton is my dream guitarist. I used to hate the sound of my voice. Maybe not, oh, but we can only try. Do the things you believe in, in the name of love. And know that, you aren't alone. We all have doubts and fears. When I was younger, I was kind of fearless. I think it takes more courage to do things when you know more. I was completely naive, and I was like, why can't I do anything I want to do? You know, go for it. Today's records, even though they may be lyrically repetitive and not saying anything particularly heavy, they have energy. Traveling around sure gets me down and lonely, nothing else to do but close my mind. I sure hope the road don't come to own me, there's so many dreams I've yet to find. But you're so far away. 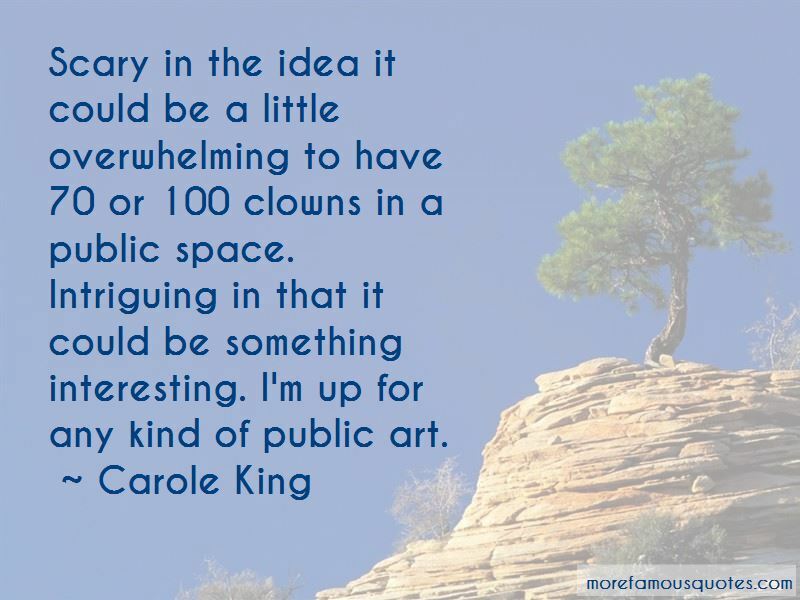 Want to see more pictures of Carole King quotes? 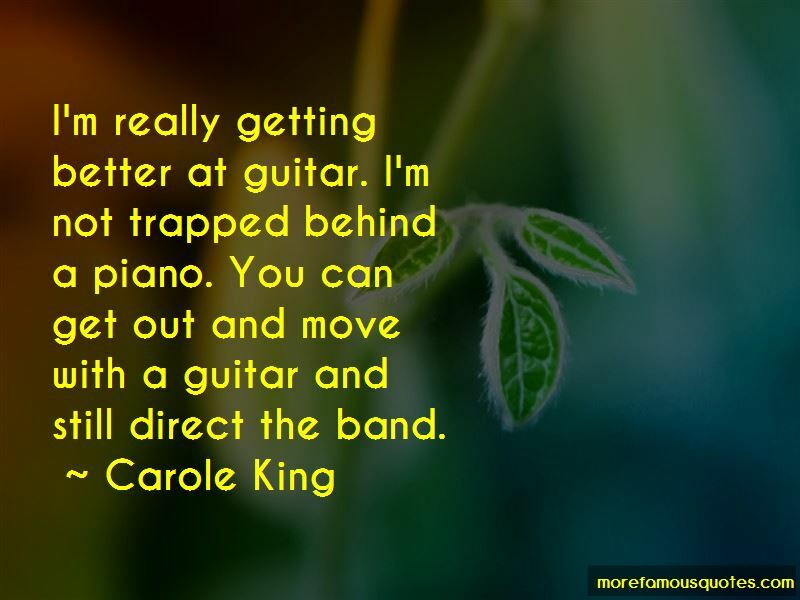 Click on image of Carole King quotes to view full size.